Great Planes is rolling out the new release announcements and this one is aimed right at the sailplane pilots. The iconic Bird of Time is back as an electric powered ARF! 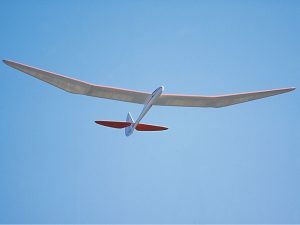 This 3 meter (118in) legend has been around for many years but the start or winch launch requirements have left many glider pilots dreaming of it. 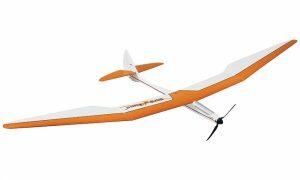 Now Great Planes has brought it back as a quick assembly ARF featuring an electric folding prop power system that will get the Bird of Time up to altitude and thermal hunting in no time! You can choose their recommended power system or change it out with your own setup. Just a couple servos are required along with a 3+ channel radio system for guidance. 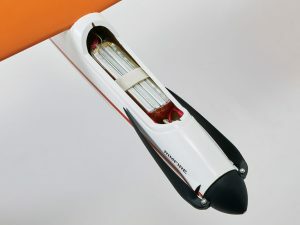 The fiberglass fuselage provides a clean, strong and sturdy base for the glider. 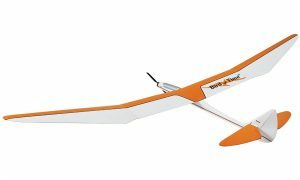 A three-piece wing and removable full flying stabilizer help make transport and storage of the Bird of Time an easier task. Between the graceful looks and the known performance of the Bird of Time design, this is sure to be a hit with the glider pilots.